Detecto physician scales feature a time-honored reputation for rigid construction and precision engineering. This assures an unbeatably rugged product that guarantees accuracy and durability. 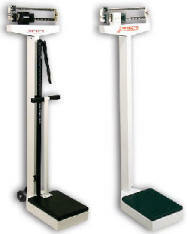 All Detecto scales are tested with weights traceable to the U.S. Bureau of Standards.